Widely considered one of Europe’s brightest directors, Thor is the creative force behind innovative award-winning ad campaigns for such international brands like NIKE, Asics, Philips, Sony, McDonald’s, Vodafone, Axe, T-MOBILE, Peugeot or Coca-Cola. 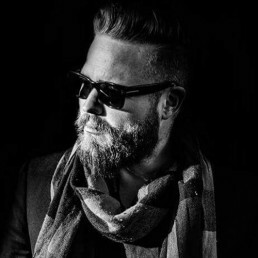 Having gotten his start while still a teenager assisting American directors shooting in Europe, Thor burst onto the scene in 2002 when his short film “Autograph” took the silver and the audience award at the Nike Young Directors Awards. A year later he was included in the prestigious Saatchi New Directors Showcase at Cannes. Since then he has won various awards at film festivals such as Epica, Clio, Cannes Lions and Eurobest among others. Thor lives in Milan with his wife and three kids. And no, he doesn’t carry a hammer.